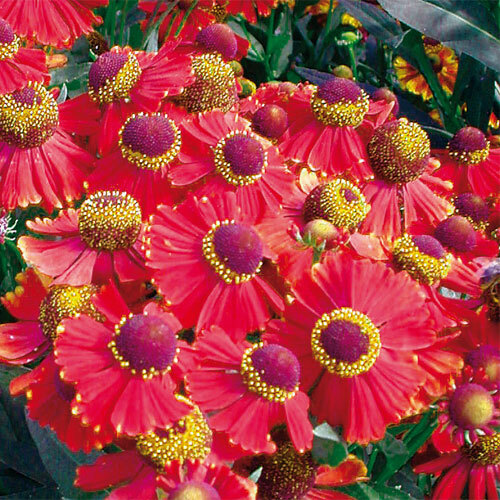 Another best native perennial for late-season color. 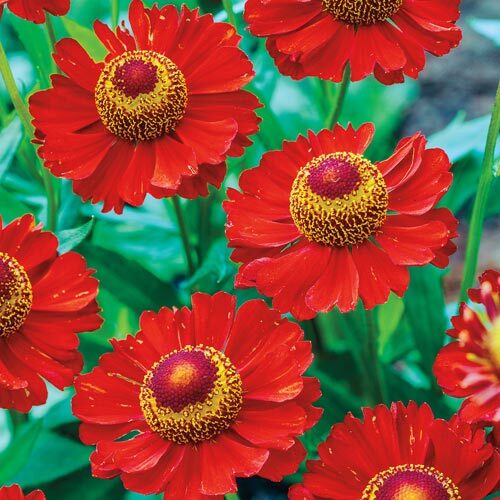 The 2" red flowers with hints of purple will certainly add excitement to the garden. This hardy perennial blooms for weeks and is particularly striking when planted en masse. 2", raised disk centers, surrounded by somewhat reflexed petals. Dig a hole large enough to accommodate the roots without bending them, firm well and water thoroughly. Cut back to remove spent flowers and to prolong flowering time.